Ink just launched today. This open source project is by ZURB, creators of the popular front-end web development framework, Foundation. Ink helps solve a major pain point: Creating a simple HTML email that works halfway decently in the countless of desktop and Web email apps out there is already a big — and often a very frustrating — undertaking. Making HTML emails responsive for mobile devices exponentially complicates the task a great deal. But with more than 40% of emails being viewed in mobile devices, sending out responsive HTML emails is, on the other hand, crucial. 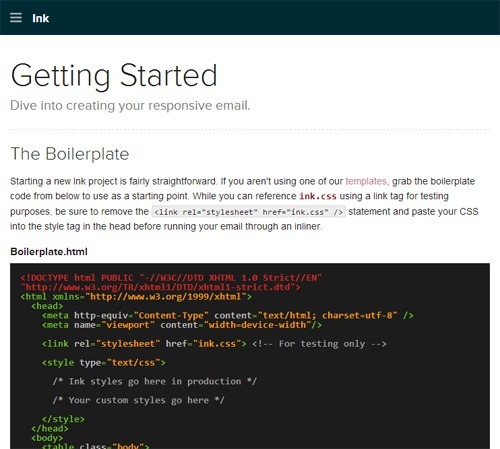 How will Ink solve your responsive HTML email misery? 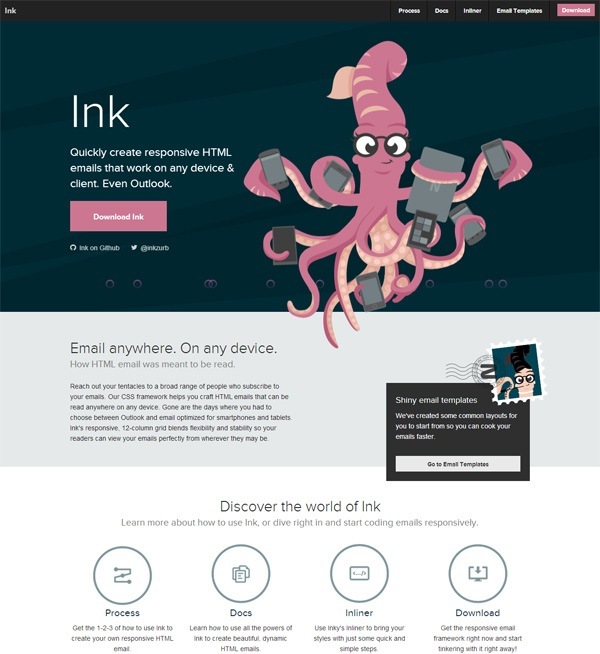 "There are lots of great individual solutions for Responsive emails, Ink brings them all together into a single tested framework," creator of Ink (and a partner at ZURB) Matt Kelly says. Here’s a quick rundown of interesting things I found in Ink. 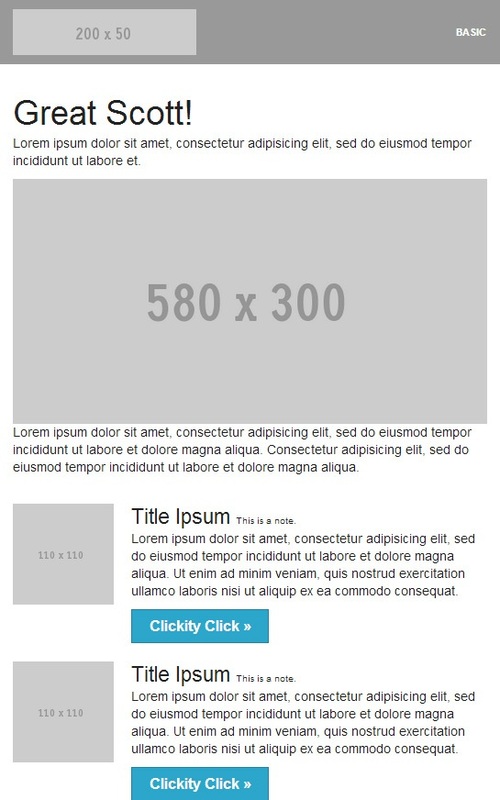 Five responsive email boilerplate templates out of the box, which will definitely be useful to new users of the framework (the screenshot below is the Newsletter template). It’s open source, and you can find the official repo on GitHub. The docs is easy to read and will help you get up and running in no time. 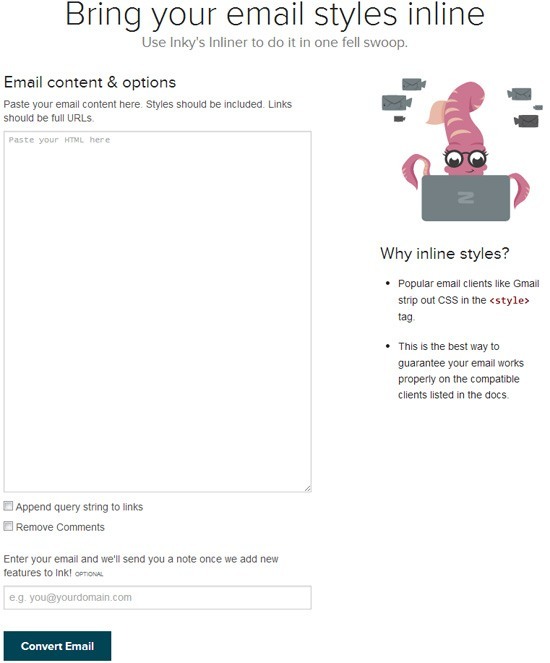 For inline CSS styles, you can use the Ink Inliner tool, which is especially great for Gmail. Full disclosure: Ink launched today (just a few minutes before I published this post) but I was given password-protected access to their site a few hours before launch by one of ZURB’s founders so that I could review the project.